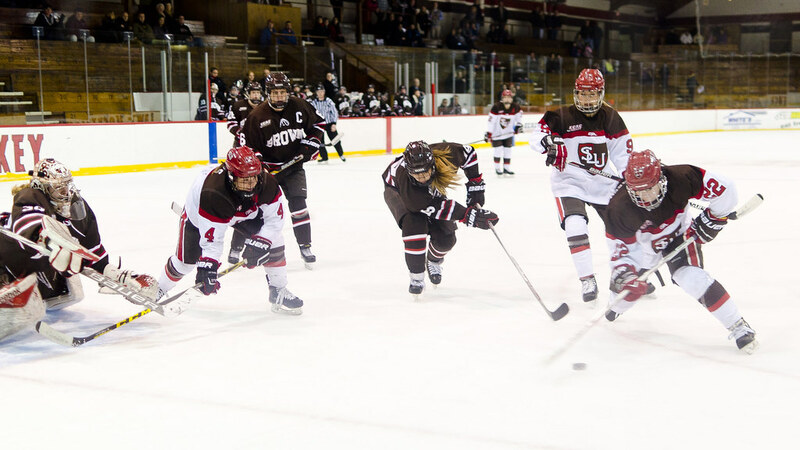 When I’m in the first row, inches from the action of St. Lawrence’s DIV I women’s hockey, there’s no better lens than my 35 mm prime. That lens let me capture this Last-Supper-esque shot of six players all chasing the puck; they’re all roughly equidistant from me, making the shot slightly flat and surreal, like a splash page in a comic book. This picture comes with added good new: the women’s team won their first playoff game this weekend!